mint, parsley, garlic, onion, tomato/pepper paste and goat’s cheese (I just used fetta). The prep is incredibly easy, and since going with the tea towel trick even the construction itself was straight forward, although it did take a while – each of the spirals is three layers of filo, with butter on each (an exercise which has convinced me that I need a new pastry brush, because mine is losing bristles like it’s going bald). The mint was a delightful and intriguing taste; I think it needed more fetta (the recipe called for 60g, I think I put in more like 100g). I will absolutely be making these again and I imagine that I will be playing around with the ingredients, too. It can’t be hard to come up with a chicken version, or even a vegetarian one (although getting the ingredients small enough might be a pain). I’ve got very interested in baking bread over the last few years. I was introduced to Artisan Bread in Five Minutes a Day some years back, and I’m still working my way through it. 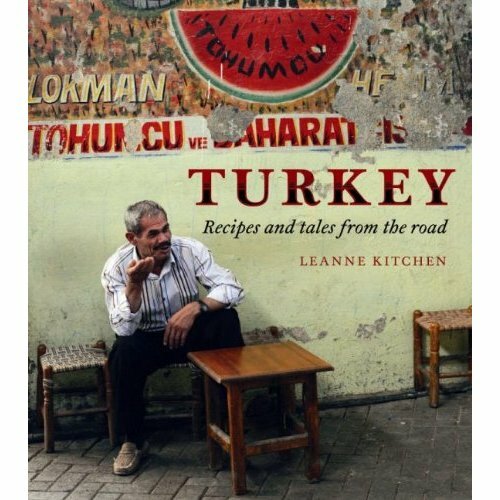 This week, though, I decided to try the flat bread recipe in Leanne Kitchen’s Turkey, which I have been enjoying for a long time now. The recipe itself is very straightforward – just a normal bread recipe, with yeast and flour etc. Once the dough has risen and been punched back, you divide it into 12, roll them out and then cook them in a dry frying pan. As you can see, when it starts to cook the dough gets bubbles in it. This is how the bread gets that pocket effect. I wasn’t expecting that, and I got a kick out of it every time. The recipe suggests cooking each side for about 3 minutes; I discovered very quickly that timing it was unnecessary, since once the dough collapsed back a bit it was ready to flip. Plus if you flip it too early and want to colour it up a bit more, there’s no harm in flipping it back once more.